Books and Workshops to build and sustain customer focus and service excellence throughout your entire organization. After you have entered and submitted your email address, your access code will be emailed to you immediately. This email will come automatically from our assessment server and the address is donotreply@assess.biz. These days many people have spam blockers set up to block system generated emails like this one. If you do, please be sure to check your Junk mail in case our email is blocked. If your system rejects our email or you do not receive this email for any other reason, email us support@thatscustomerfocus.com and we will be happy to provide you with your access code. Please also note that an Assessment Login Screen will launch automatically when you submit your email address. Leave this screen up, go to your email to get your access code and then enter it into the Login area. This all probably sounds really complicated. It is actually quite seamless and only takes a few seconds. If you encounter any difficulties contact us at 519-284-8080 or by email immediately to support@thatscustomerfocus.com . We hope you will find this assessment interesting and useful. 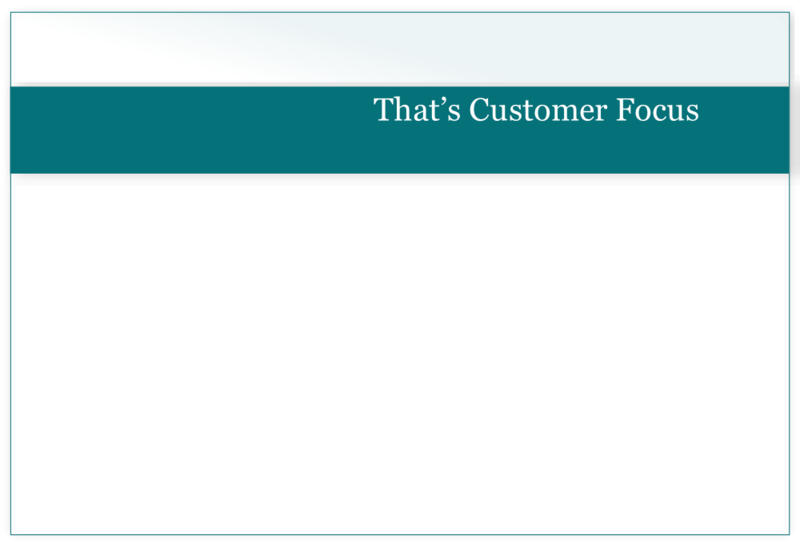 This online self-assessment will help you to determine your Organization’s current level of customer focus. It is based on years of research into the characteristics of truly customer-focused organizations. It’s interesting and fun to complete. It only takes a few minutes so why not have a go?